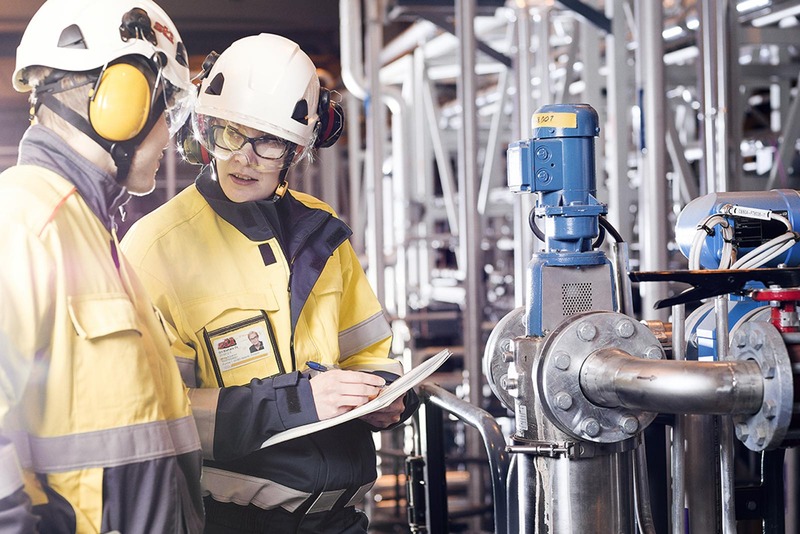 St1 Refinery has built an ethanol plant adjacent to St1 s refinery situated on Hisingen in Gothenburg and has been granted project funding via the European Commission and the LIFE+ fund. The project's main objective is to demonstrate the potential for the sustainable production of ethanol for biofuel admixture. The raw materials are by-products from the food industry and by integrating the ethanol plant with the existing refinery they achieve synergies in energy, water and infrastructure to use. The product, sustainable and ethical ethanol, will by the refinery's logistic chain reach out to customers in the transport sector in order to help to contribute to the national and international climate targets. About 20 % of the EU's total CO2-emissions comes from road transport. The availability and the sufficient amount of renewable fuels for the transport sector is an important step in reducing our dependency on fossil fuels and stop the global warming and increased greenhouse gas emissions that originate from this sector. To reduce the climate impact, Swedish and international legislations contain requirements for increasing the percentage of renewable feedstock into fuels. This is in the line with St1's vision to reduce CO2. Ethanol is therefore used in petrol as an alternative fuel for both high and low proportional mixes. Within the St1 group has developed a patented method for producing the alternative fuel ethanol from food waste. This method is referred to as Etanolix. Life+ project illustrates the potential of unused by-products from e.g. food industry and resource optimizing where a waste product can be utilized as raw material for ethanol production. Knowledge of producing ethanol has been known for a long time where in the fermentation process and the use of sugar and other carbohydrates as raw material are established. The manufacturing procedure that St1 has been part of developing is based on a modern, energy and environmentally adapted fermenting process for continuous operation. The goal with the Life+ project is to demonstrate that ethanol can be produced sustainably with extremely low carbon dioxide emissions since the raw material is a waste product, the technology is developed with respect to the environment and the synergies of the processes in an existing oil refinery. This is in line with St1's policy to be the leading producer and supplier of CO2 aware energy. The ethanol plant is a pilot installation, to demonstrate the possibility of integrating energy and water with the existing oil refinery processes. This means that synergies as heat and cooling from the refinery and water systems are being used from existing processes. The ethanol is used as a bio-component, in vehicle fuels. LIFE+, the EU's financial instrument for the environment where the overall objective is to contribute to the implementation, updating and development of EU environmental policy and legislation by co-financing pilot or demonstration project with a European value. The program started in 1992 and so far there have been three complete program phases. The current phase of the program runs from years 2007-2013. The legal basis for LIFE+ is the regulation (EG) nr 614/2007. The program is open for public or private authorities, operators and institutions, which are registered in EU. Project proposal can either be submitted by a single beneficiary or by a partnership that includes a coordinate beneficiary and one or more associated beneficiaries. For the first time demonstrate the potential for sustainable production, where rest products from the food industry is recycled into ethanol, through integration with the production of an existing oil refinery. Processing of 15 000 -21 000 tones waste product from the food industry per year. 98-100 % conversion efficiency by recycling of waste products from the food industry. Production of 5000 m3 of ethanol per year (European standard EN 15376) for use as a fuel for transportation. 90 % reduction in CO2-emissions by using the biofuel Etanolix compared to fossil based fuels. Improved energy efficiency through the use of 6760 MWh of excess steam (by-product of normal operation) per year and 9530 MWh unused cooling water per year. Reports and documents regarding the Life+ project.